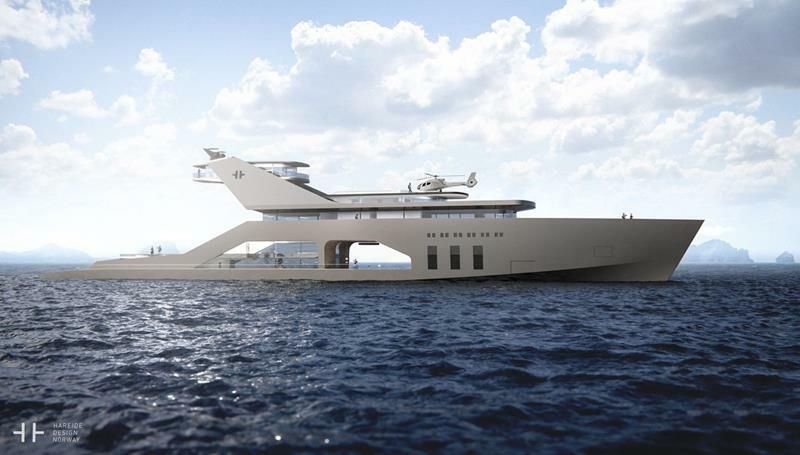 In the world of superyachts, bigger is almost always better. But, that’s not the only metric by which billionaires will judge their seafaring vessels. They’re also looking for incredible amenities and features you won’t find anywhere else in the world. 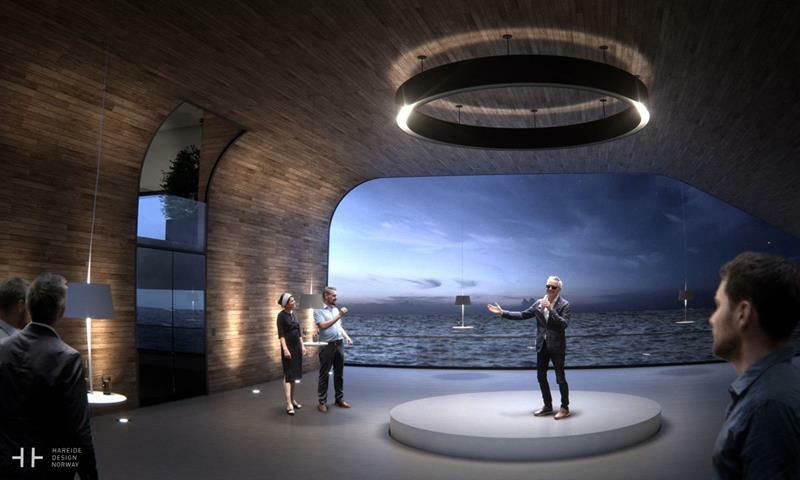 By this measure, the new concept that’s been put together by Hareide Design, a well-respected design studio from Norway, is a winner. 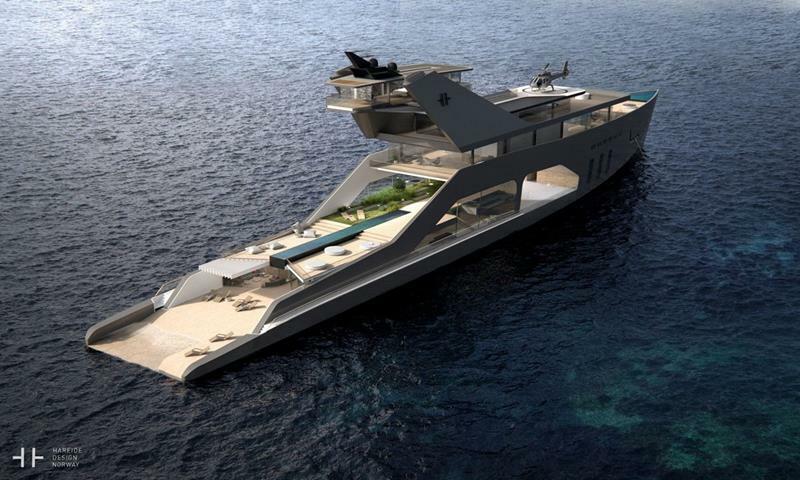 Not only is it large, it has features that will make it truly one of a kind should the concept ever become a reality. This ethic embodies itself in the mono-hull design of the vessel, as well as in the “open-concept” sensibility that embodies every one if its decks. Of course, the boat attempts to bring nature on board as well, including an on-deck garden that’s sure to delight. 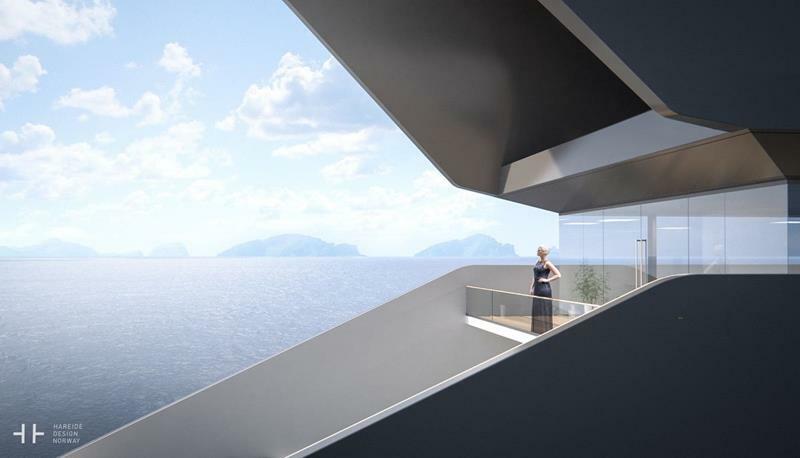 But as far as bringing nature on board the superyacht is concerned, the main selling point for this vessel is the on-deck “beach”. 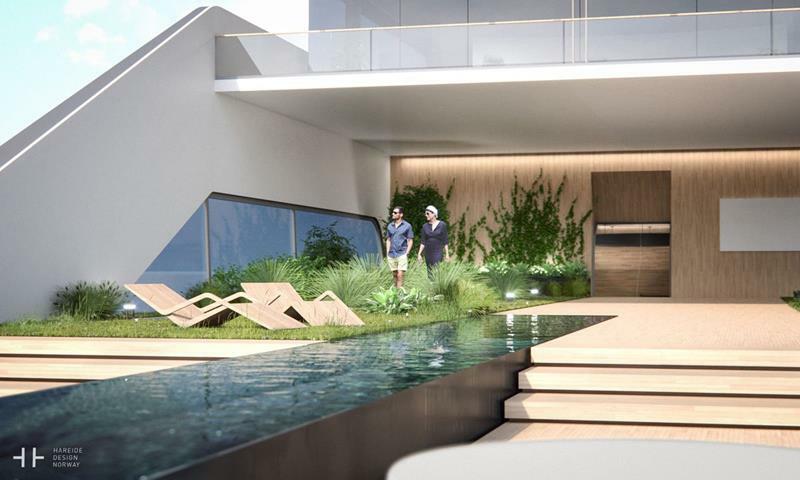 Although it doesn’t feature actual sand, the coloring and sloped contour of the pool certainly evoke the beach-like vibe. You might have been wondering where the water for that beach pool was coming from. Well, check out the aft portion of the ship! 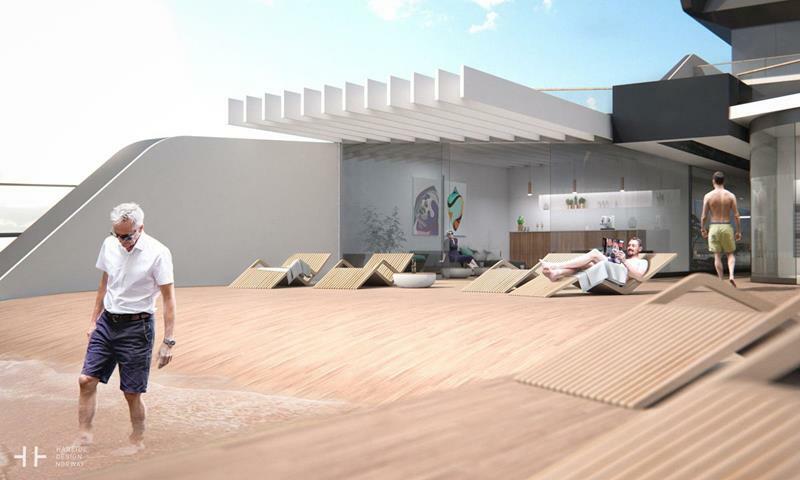 The aft will actually lower down into the water, allowing the sea water to wash over the contoured shapes of the beach pool. 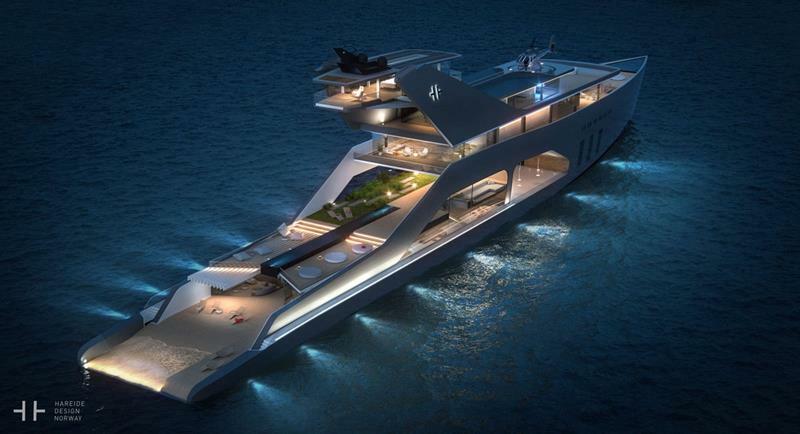 Of course, the beach pool isn’t the only poll you’ll find in this incredible superyacht concept. Near the on-deck garden that was mentioned earlier, you’ll also find a striking infinity pool that juts out toward the aft of the ship, creating the sensation that you’re swimming in the air. 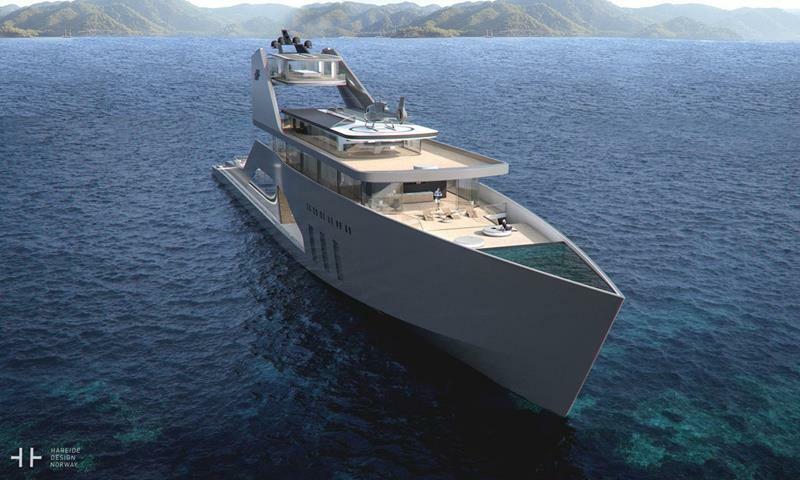 For a superyacht like this, establishing bold and clear lines is everything. Nowhere is this more apparent than around the stateroom balconies. You can see how the very shape of the ship has been contoured in order to provide uninterrupted views of the surroundings. The sense of openness that you’ve seen outside of the ship carries over to the inside. Here, you can see how the concept handles the galley. 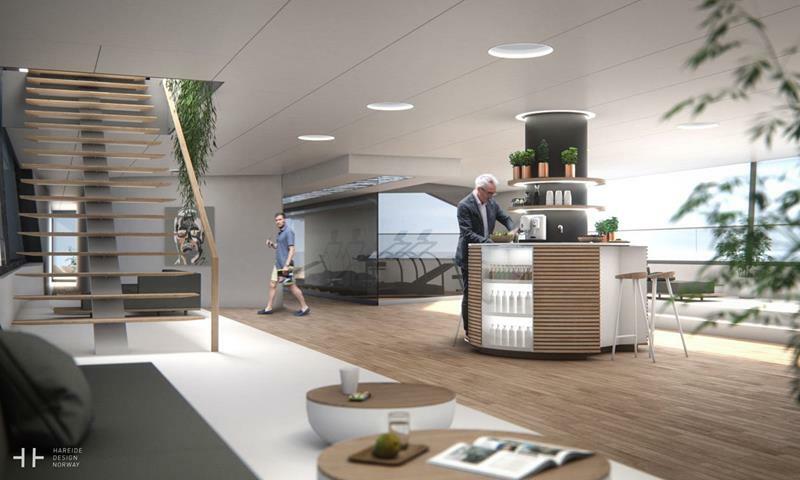 Note the glass walls around the gym, as well as the thin profile of the stairs between decks. Each help to prevent views and lines from being obstructed. Finally, one of the signature areas of the ship is known as “The Grand Hall”, which you can see above. Doubling as a performance and entertainment space, the large glass wall allows for the outside world to shine through, all while guests mill about and enjoy themselves inside.